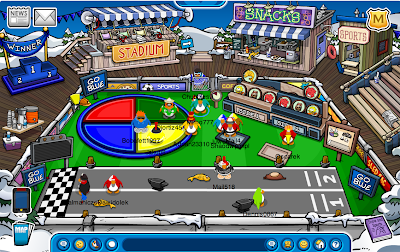 Club Penguin Cheats by Mimo777 Club Penguin Cheats by Mimo777: New Club Penguin Track Event! 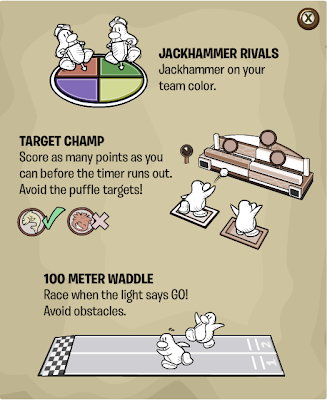 Jackhammer Rivals: Jackhammer on your Team color and the winner will change the color of the Room. Target Champ: Score as many points as you can before the timer runs out. 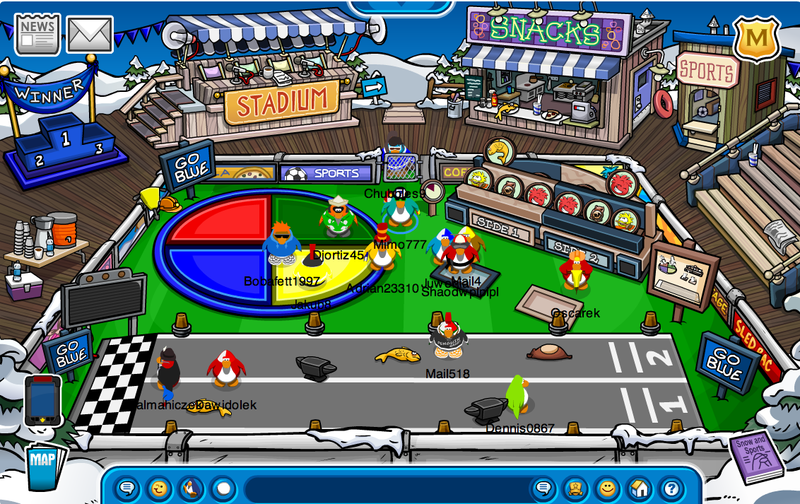 Avoid the puffle targets! 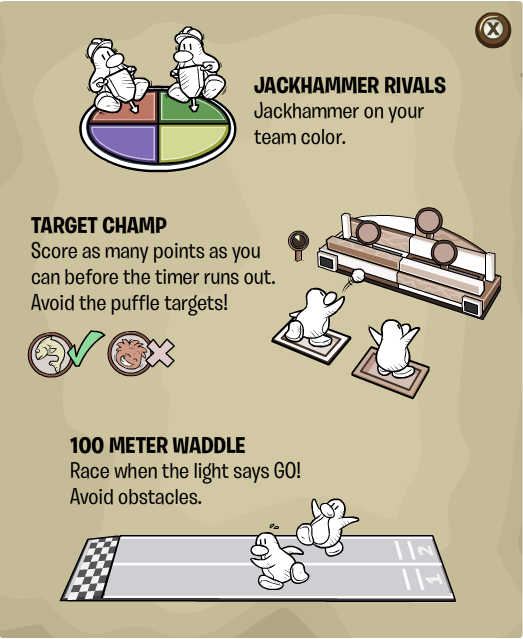 100 Meter Waddle: Race when the light says GO! Avoid obstacles by going around them. Look at all the fun things! Kind of a bummer not to actually win anything, huh? Hmmm, shouldn't we at least earn Stamps for this Event? I hope they come soon! Do you like this Track Event? What kind of awards do you think we should earn? Yeah I saw you XD! I dont really like this new stadium thing it is to crowded. Do you hate it when something new comes out and your membership expires just before it happens. I really hate that. Good idea! That would at least give us something to get. But how does team red and blue do the jackhammer? They don't have any jackhammer's. hey mimo i bet u r saying woah, is kkkk1112 really on and im saying yes!!!!! my computer has been down the whole summer and my mom wanted me to not go on so she didnt fix it untill now. i am really excited with all the new cp stuff like stamps and i cant wait to start modding again!!! Well thats great! I feel bad for you. No computer means no clubpenguingang and no clubpenguin! How did you survive? yeah i useally dont do that much but i was really close to be a mod and then i couldnt go on for 3-4 months so i think if u were in this situation u would do the same thing. Did you know that the jackhammer in the corner near the jackhammer place thing is a free miner's helmet? As well as the jackhammers near the "chocolate pudding". kimosabe: the red hard hat was at a event or something and the greem one was in the march catalog and the yellow is at the mine 9(well everyone knows that) but blue jackhammers have never been found and theres your answer.